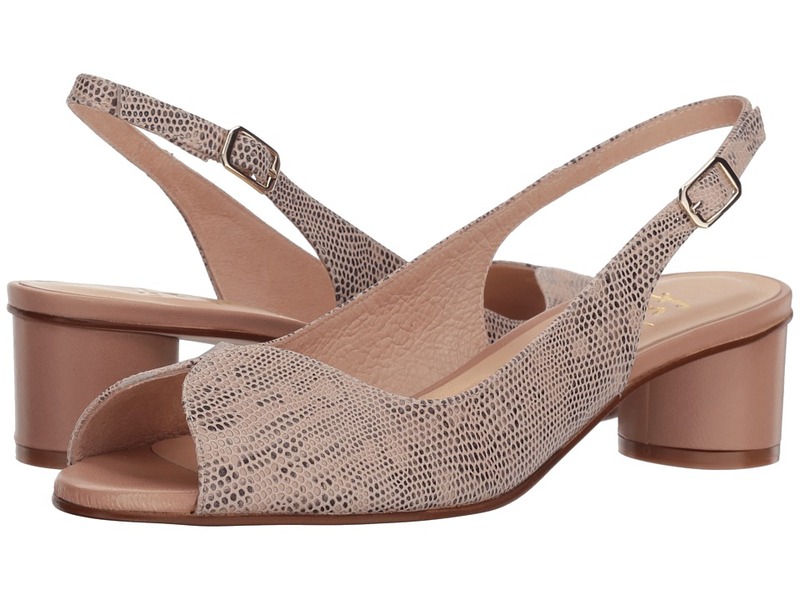 These stylish Vince Camuto Kemira pumps will lead you on a fashionably joyful path! Upper made of soft and supple genuine leather. Slip-on design. Closed pointed toe. Leather lining. Leather-lined footbed. Wrapped heel. Man-made sole. Imported. Measurements: Heel Height: 2 3 4 in Product measurements were taken using size 8.5, width M. Please note that measurements may vary by size. Weight of footwear is based on a single item, not a pair. The Fossil Ryder Crossbody will pair just as perfectly with flats and your favorite pair of worn-in blue jeans as she will with a sundress and cute pumps. That casual elegance makes Ryder the ultimate daily companion. Constructed from genuine smooth leather. Zipper closure. Gold-tone hardware. 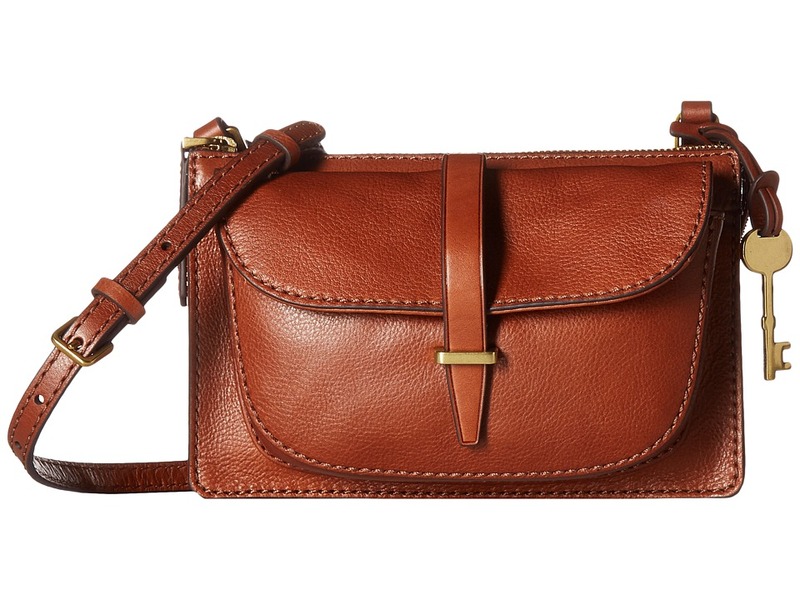 Adjustable leather or fabric crossbody strap. Front fold-over locking pocket. Lined interior features a back-wall zip pocket as well as a slip pocket. Flat bottom. Imported. Measurements: Bottom Width: 8 1 2 in Depth: 3 in Height: 8 1 2 in Strap Length: 45 in Strap Drop: 22 in Weight: 1 lb 3 oz Please note, the hardware color and interior lining may differ from the color shown in the photo. 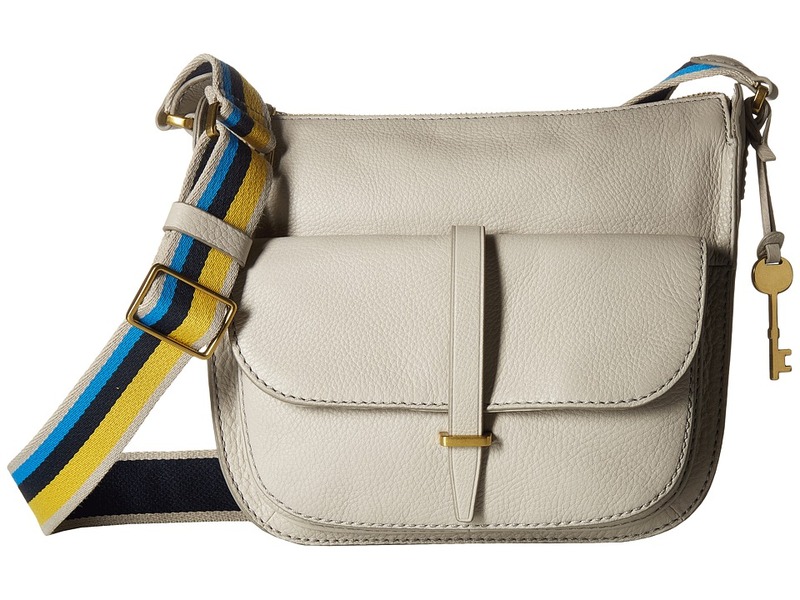 The Fossil Ryder Small Crossbody will pair just as perfectly with flats and your favorite pair of worn-in blue jeans as she will with a sundress and cute pumps. Constructed from genuine smooth leather. Zipper closure. Gold-tone hardware. Adjustable leather or fabric crossbody strap. Front fold-over locking pocket. Lined interior features a back-wall zip pocket as well as a slip pocket. Flat bottom. Imported. Measurements: Bottom Width: 8 in Depth: 3 in Height: 5 1 2 in Strap Length: 44 in Strap Drop: 21 in Handle Length: 44 in Weight: 11 oz Please note, the hardware color and interior lining may differ from the color shown in the photo. 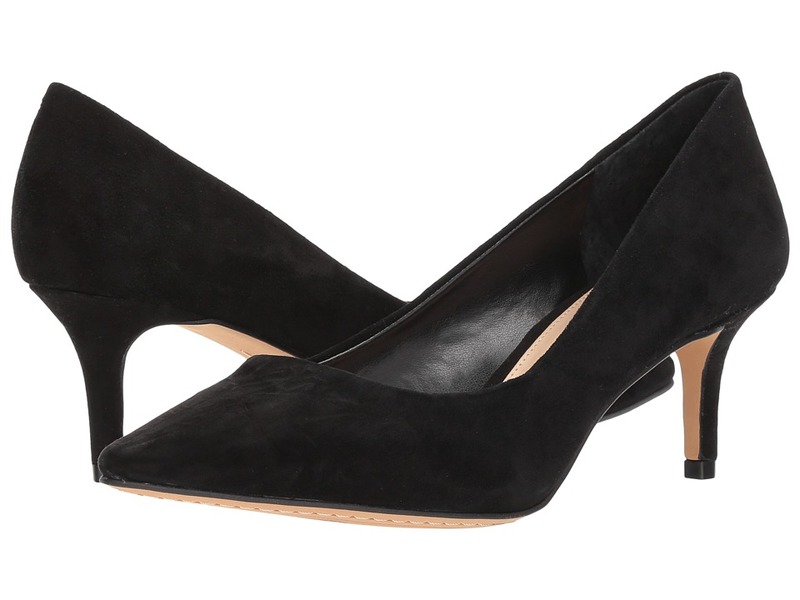 Keep your look sleek in the Charles by Charles David Carmen pumps. Heeled sandals with leather or vinyl upper. Slip-on wear. Open-toe silhouette. Synthetic lining. Stationary footbed. Wrapped heel. Synthetic outsole. Imported. Measurements: Heel Height: 4 in Weight: 7 oz Platform Height: 1 2 in Product measurements were taken using size 7.5, width M. Please note that measurements may vary by size. Weight of footwear is based on a single item, not a pair. Slip into a sharp and sleek look with the French Sole Borderline pumps. Heeled sandals made with snake-embossed leather upper. 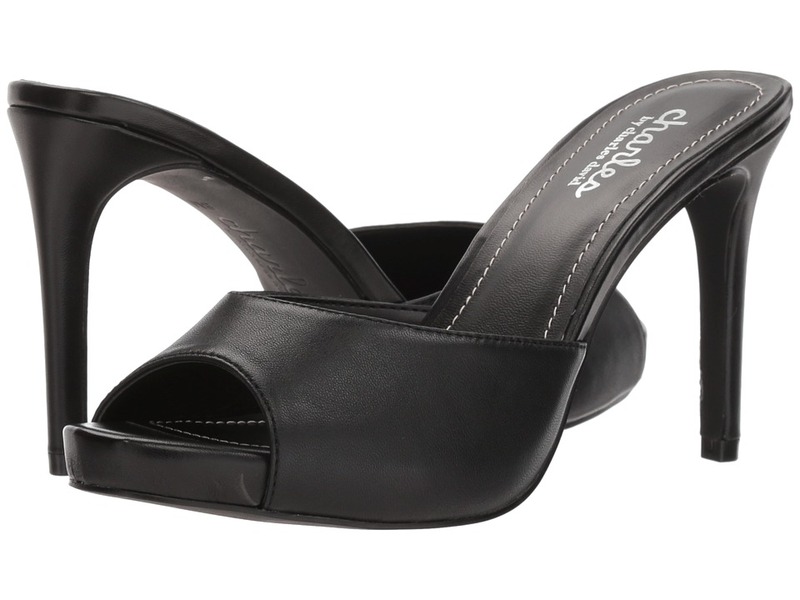 Slingback ankle strap with buckle closure. Peep-toe silhouette. Leather lining. Lightly-padded, fixed footbed. Wrapped heel. Synthetic outsole. Made in Spain. Measurements: Heel Height: 1 3 4 in Weight: 6 oz Product measurements were taken using size 7.5, width M. Please note that measurements may vary by size. Weight of footwear is based on a single item, not a pair. 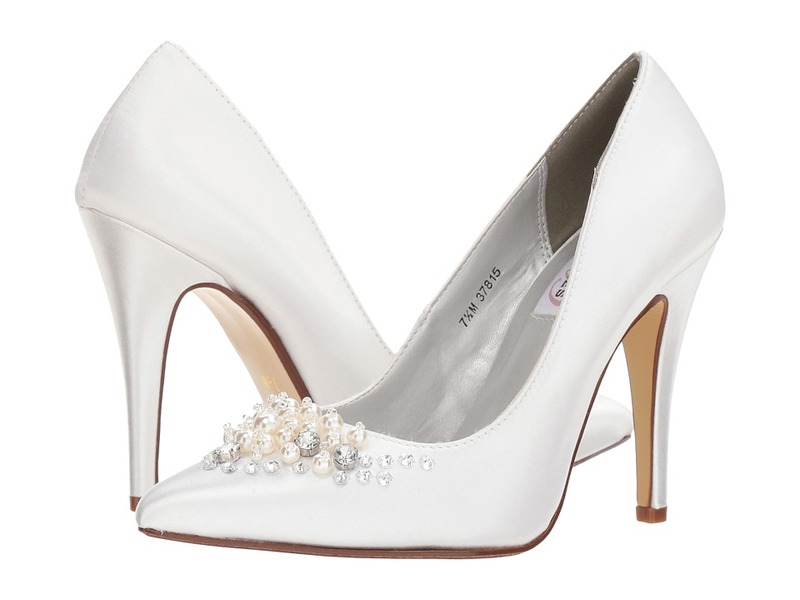 The French Sole Trance 2 pumps paint you as pretty as a picture. Supple nappa or metallic leather upper. Easy slip-in wear. Round toe. Textile lining. Lightly-padded leather footbed. Wrapped cylindrical heel. Leather outsole with heel taps. Made in Spain. Measurements: Heel Height: 2 in Weight: 7 oz Product measurements were taken using size 8, width M. Please note that measurements may vary by size. Weight of footwear is based on a single item, not a pair. Slip into stunning sophistication with the smooth Calvin Klein Rielle sling back pumps. Upper made of leather. Buckle at ankle closure. Man-made lining. Lightly cushioned, stationed insole. Pointed toe. Wrapped stiletto heel. Man-made outsole. Imported. Measurements: Heel Height: 3 1 2 in Weight: 7 oz Product measurements were taken using size 7.5, width M. Please note that measurements may vary by size. Weight of footwear is based on a single item, not a pair. Keep it classic in the ara Paulina. Pumps in a leather upper. Pointed toe. Easy slip-on style. Leather lining feels great against the foot. Lightly padded footbed with arch support for all-day wear. Synthetic outsole. Imported. Measurements: Heel Height: 2 1 4 in Weight: 7 oz Product measurements were taken using size UK 5 (US Women~s 7.5), width M. Please note that measurements may vary by size. Weight of footwear is based on a single item, not a pair. Your favorite sandals are the Spring Step Kanisha. Mary-Jane pumps in a metallic leather upper features laser cut-outs an etched design. Peep toe construction. Buckle closure around ankle for adjustable fit. Leather lining feels great against the foot. Leather padded insole. Durable rubber outsole. Imported. Measurements: Heel Height: 2 in Weight: 8 oz Platform Height: 1 4 in Product measurements were taken using size 39 (US Women~s 8.5), width M. Please note that measurements may vary by size. Weight of footwear is based on a single item, not a pair. Find class for your special occasion in the Touch Ups Lennon pumps. High heels with satin upper. Easy slip-on wear. Pointed-toe silhouette. Rhinestone and pearl detailing. Textile lining. Lightly-padded, fixed footbed. Leather outsole. Wrapped heel. Imported. Measurements: Heel Height: 3 3 4 in Weight: 8 oz Product measurements were taken using size 7.5, width M. Please note that measurements may vary by size. Weight of footwear is based on a single item, not a pair. 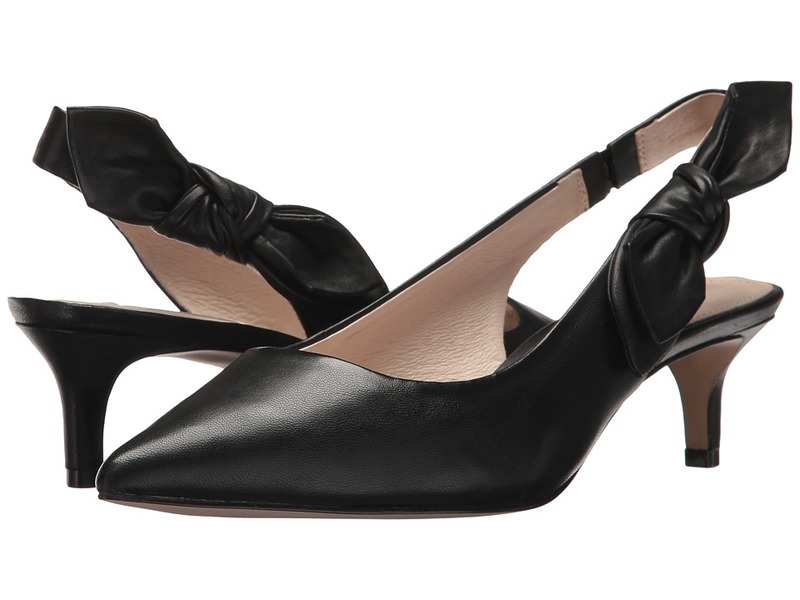 These stylish Louise et Cie Jasilen pumps will lead you on a fashionably joyful path! Upper made of soft and supple genuine leather. Elastic slingback strap with bow embellishment. Closed pointed toe. Leather lining. Leather-lined footbed. Wrapped kitten heel. Leather sole. Imported. Measurements: Heel Height: 2 in Weight: 11 oz Product measurements were taken using size 9, width M. Please note that measurements may vary by size. Weight of footwear is based on a single item, not a pair. The Ted Baker Saviopl pumps are a sophisticated and refined style with a hint of edge. Patent leather upper. Slip-on design. Pointed-toe silhouette. Metallic accents. Leather lining. Luxurious leather and textile footbed. Wrapped stiletto heel. Leather outsole. Made in Spain. Measurements: Heel Height: 3 1 2 in Weight: 8 oz Product measurements were taken using size 8, width M. Please note that measurements may vary by size. Weight of footwear is based on a single item, not a pair. Arrive in style with these edgy Vince Camuto Kolema pumps. Sandals with braided leather upper. Ankle strap with buckle closure. Open-toe silhouette. Synthetic lining. Lightly-padded, stationary footbed. Stacked heel. Imported. Measurements: Heel Height: 2 3 4 in Weight: 10 oz Product measurements were taken using size 7.5, width M. Please note that measurements may vary by size. Weight of footwear is based on a single item, not a pair. 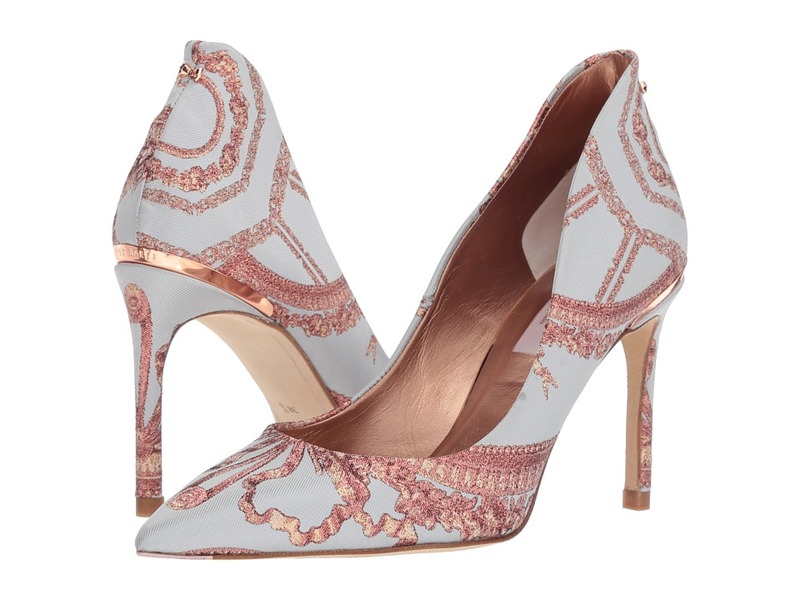 The Ted Baker Savioj 2 pumps are perfectly feminine-chic for your dresses, skinnies and beyond. Fabric upper features embroidered detail. Slip-on design. Pointed-toe silhouette. Metallic accents. Leather lining. Luxurious leather and textile footbed. Wrapped stiletto heel. Leather outsole. Made in Spain. Measurements: Heel Height: 3 1 2 in Weight: 7 oz Product measurements were taken using size 8, width M. Please note that measurements may vary by size. Weight of footwear is based on a single item, not a pair. 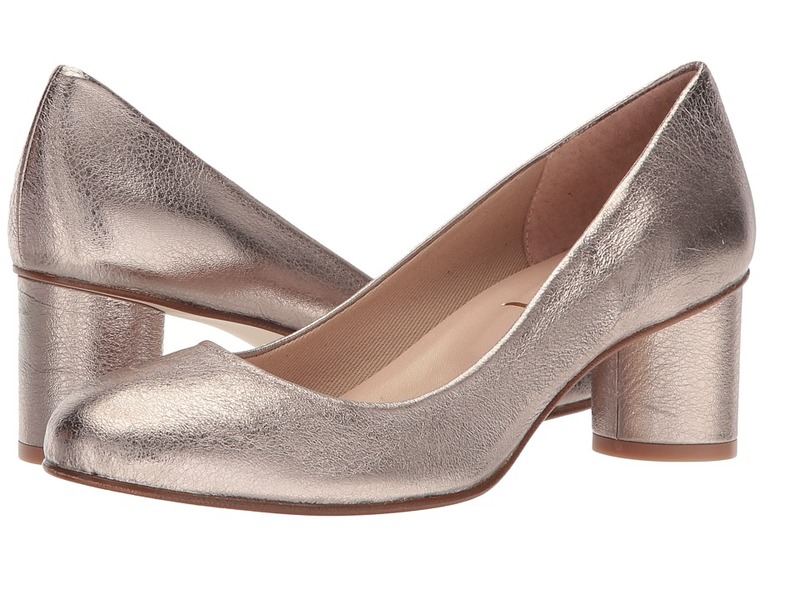 Presenting a polished appearance comes easy when you slip into the Athena Alexander Starlight pumps. Supple man-made upper with crisscross straps. Easy slip-on design. Round-toe silhouette. Man-made lining. Lightly-padded, fixed footbed. Wrapped kitten heel. Synthetic outsole. Imported. Measurements: Heel Height: 2 1 2 in Weight: 7 oz Product measurements were taken using size 7.5, width M. Please note that measurements may vary by size. Weight of footwear is based on a single item, not a pair. 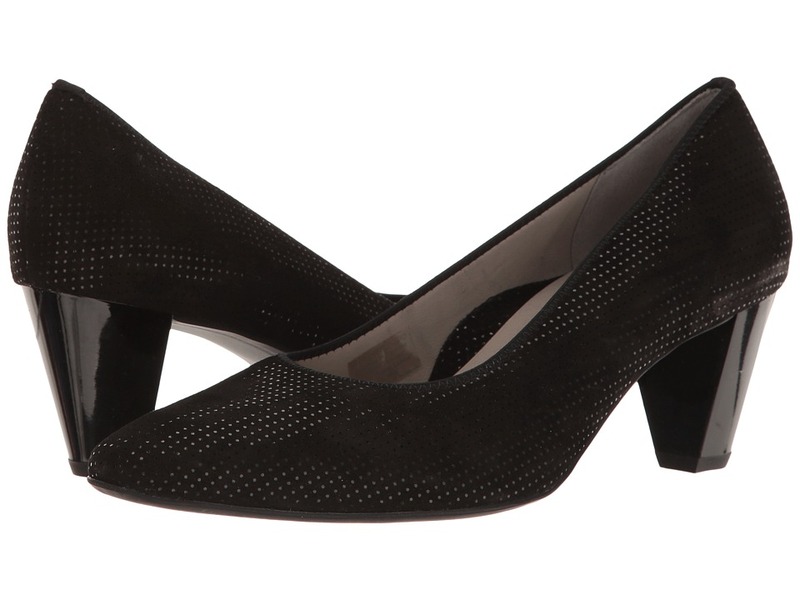 Refine your look with these sleek Report Astara pumps. Heeled sandals with man-made upper. Ankle strap with buckle closure. Open-toe silhouette. Synthetic lining and fixed footbed. Wrapped heel. Synthetic outsole. Imported. Measurements: Heel Height: 3 3 4 in Weight: 8 oz Product measurements were taken using size 7.5, width M. Please note that measurements may vary by size. Weight of footwear is based on a single item, not a pair. Flaunt your whimsical style with these eye-catching ALDO pumps! 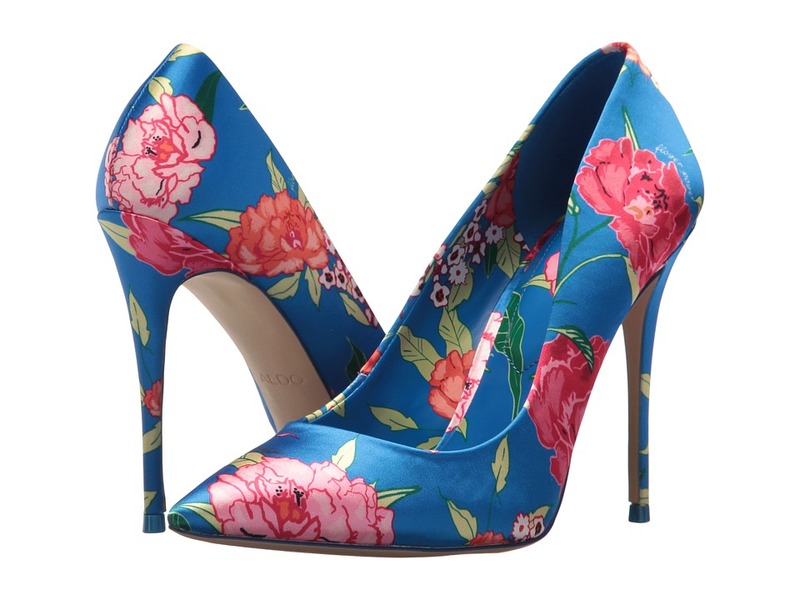 Floral-printed satin fabric upper. Slip-on. Closed pointed toe. Soft linings. Lightly padded insole. Wrapped stiletto heel. Synthetic sole. Imported. Measurements: Heel Height: 4 in Weight: 9 oz Product measurements were taken using size 38 (US Women~s 7.5), width B - Medium. Please note that measurements may vary by size. Weight of footwear is based on a single item, not a pair. Primp up your look for the special occasion in the Nina Clarity pumps. Heeled sandals with textile upper. Mesh and floral crystal detailing. Back-zip closure. Open-toe silhouette. Leather lining. Lightly-padded, fixed footbed. Wrapped heel. Synthetic outsole. Imported. Measurements: Heel Height: 4 in Weight: 8 oz Product measurements were taken using size 8.5, width M. Please note that measurements may vary by size. Weight of footwear is based on a single item, not a pair.